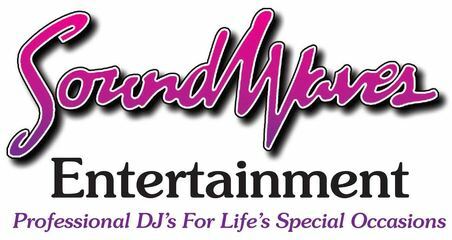 Sound waves Entertainment offers a unique and personal online wedding planner for all of our couples which includes a music request section and planning forms for both your ceremony and reception. The music request section allows you to create a customized, personalized play list of you and your fiance’s favorite songs. You can also create a list of song that you would rather not have played under the “do not play” section too. We have a “Play only If Requested” list too for songs that are ok to play if a guest would request it. If nobody requests the songs in this category we’ll stay away from these songs. This allows you to offer the option for it to be played if requested but not banning it altogether. There is a Must Play list for the most important songs that you would like to have played. We’ll make sure to try and play all of these songs before the end of the reception. There is a Play If Possible category too for additional songs that you would like hear if time permits. We’ll pull from this category as well but we’ll make sure we play all of the Must Plays first! Please note, you do NOT need to completely fill all of the songs in each category. Plenty of times our clients will request 5-10 songs and tell us “just do your thing and make sure our guests all love the music”. This is fine as well! Please do not think you have to come up with your entire playlist. We’ll go by what you have on your list and play the songs that are most important to you and we’ll work our magic to keep the energy going and your guests on the dance floor helping you celebrate and making memories! Please do NOT include formality songs in your music request section. This includes songs for your ceremony, cocktail, as well as your first dance, song parent dances or cake cutting songs. These songs are to be entered in your wedding planner section under Planning Forms on the appropriate form and not in your music request section. The music request form is only for the songs for dinner or dancing for your reception. If you have specific artists or genres for cocktail hour or dinner, you can enter that in your wedding planner in the wedding reception planning form. Your specific DJ is always available to talk music during your planning process!